Seated with eyes gently cast down , this seemingly Meditating Buddha is the physical embodiment of reaching the enlightened state. Buddhist art originated on the Indian subcontinent following the historical life of Siddhartha Gautama, 6th to 5th century BC, and thereafter evolved by contact with other cultures as it spread throughout Asia and the world. 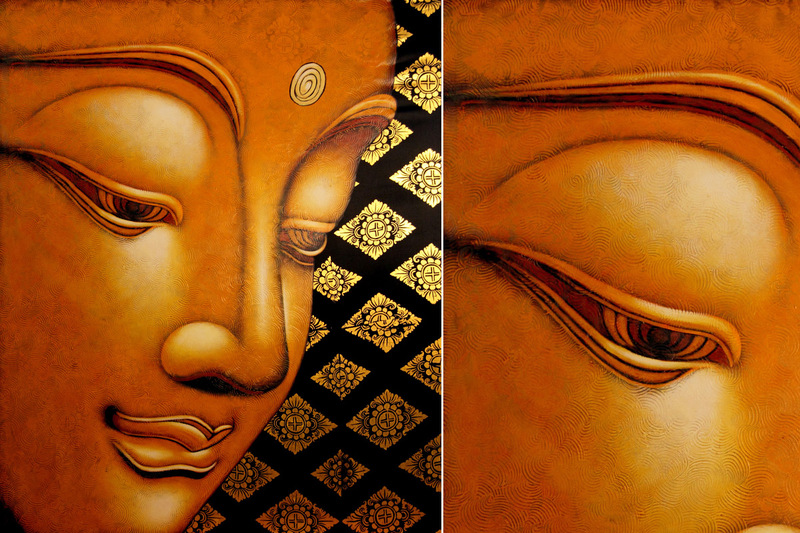 Face of the Buddha represents perfect state of inner calm and awareness and is a beautiful adornment to any wall in the house.